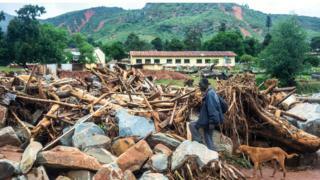 Cyclone Idai has ravaged parts of Mozambique, Malawi and Zimbabwe in what the UN says could be the worst weather-related disaster ever to hit the southern hemisphere. 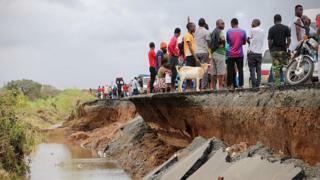 Millions of people were in the direct path of the cyclone, with the port city of Beira in Mozambique bearing the brunt. 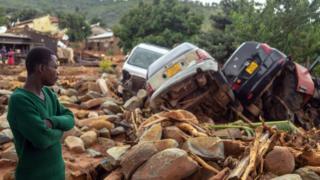 The death toll in Mozambique is currently 200 but President Filipe Nyusi fears it could be far higher. 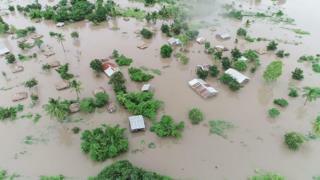 Some 100,000 people need to be rescued from the port city of Beira (above), according to Mozambique's government. 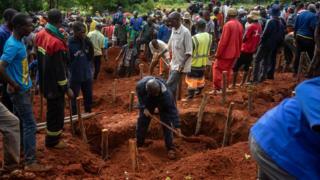 With hundreds still missing, people are searching through the rubble for their loved ones. 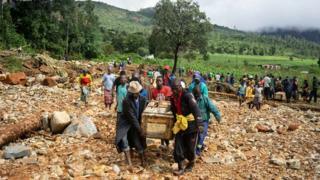 In Zimbabwe (below), victims are carried in wooden coffins by barefoot family members along a makeshift path on the River Ngangu. 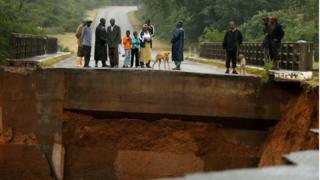 On the Umvumvu River, below, locals watch in disbelief at the empty space where a bridge stood just days before. 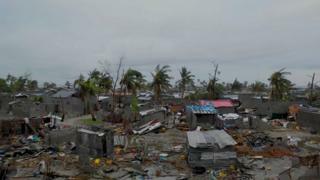 A UN World Food Programme worker said of the damage in Beira (above): "There is no power. There is no telecommunications. 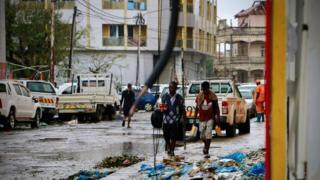 The streets are littered with fallen electricity lines." 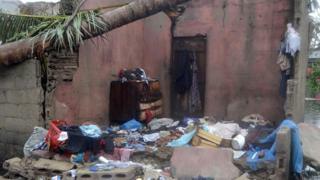 With every building in the city damaged in some way, people are left unsheltered against tough weather conditions. 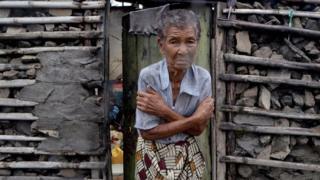 Some homes were stripped bare as walls and roofs were destroyed by the extreme wind and rain. Students at St Charles Luanga school in Zimbabwe, above, had to be rescued by the military. 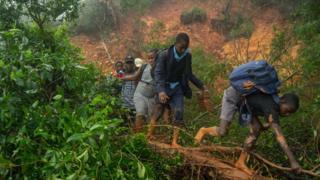 They navigated their way through a mudslide that had covered a major road, blocking their way out of the school. 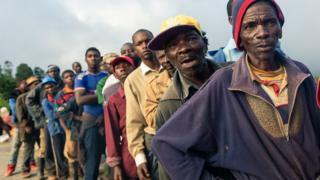 People who have had their entire livelihoods destroyed await handouts from aid agencies.